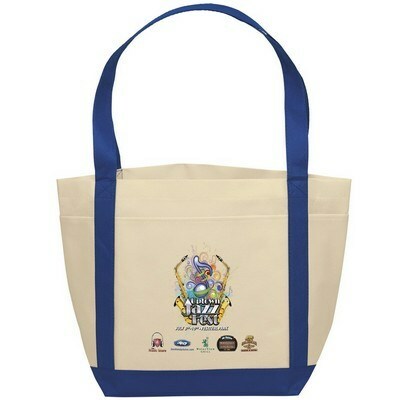 This custom logo Saratoga tote bag- four color process contains 20% recycled post-industrial polypropylene. 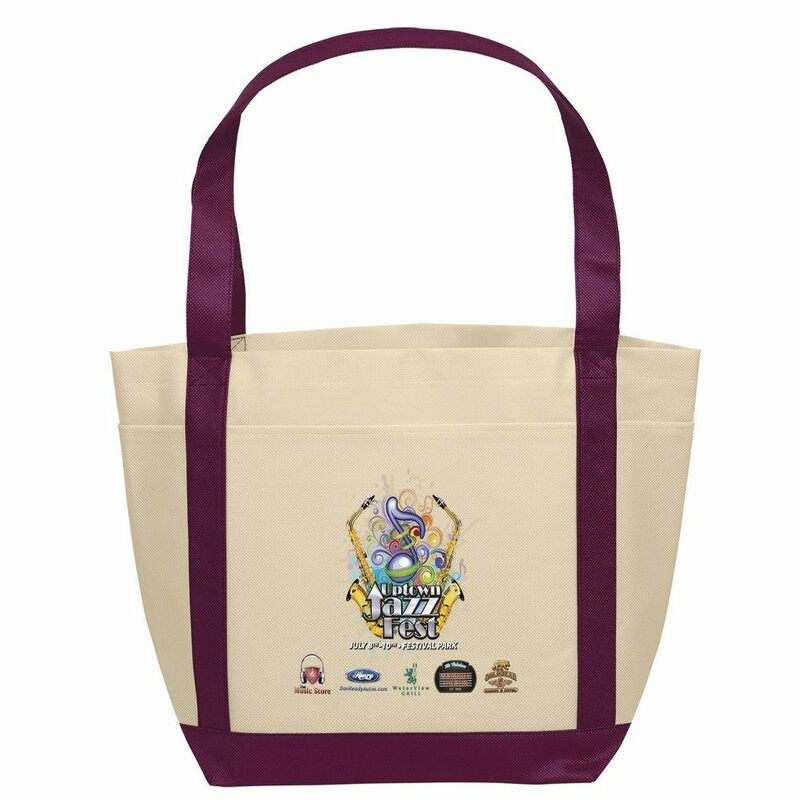 Dimensions: closed/flat: 18W x 12H x 7" bottom gusset and open: 10W x 7.5 x 12H x 7"
In this earth friendly era, gift your customers a useful product that they can proudly carry, whenever they step out, by using the Saratoga tote bag- four color process. 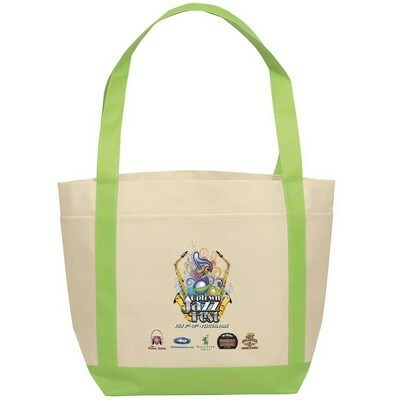 Imprint your brand’s logo on the classic tote and promote the eco-friendly policies of your company. 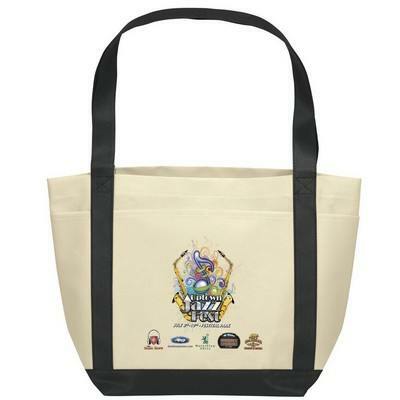 The tote has a simple and classy design. 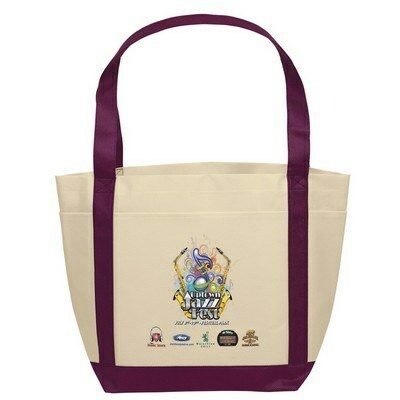 The 25" handles make it easy to carry the tote while advertising your brand’s logo to the onlookers. 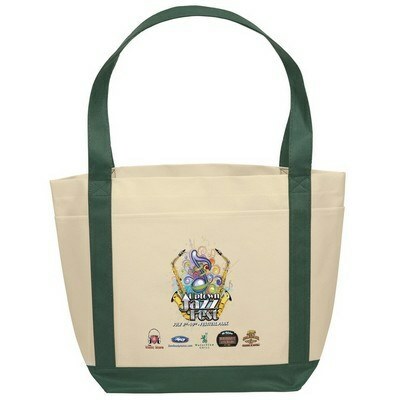 The tote bag makes a perfect giveaway at colleges, offices, seminars, conventions, and trade fairs. 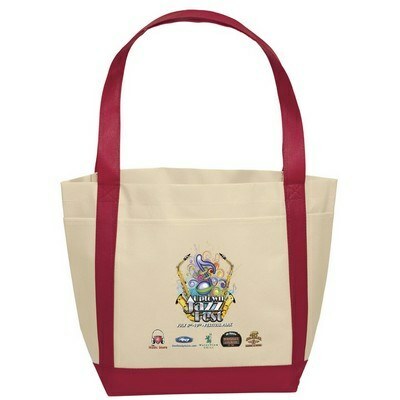 Include other promotional items in the tote to boost your brand’s success.